During Mr Turnbull’s trip to the White House this week, he and US President Donald Trump held discussions over a plan to link the US with Australian enterprises. Those discussions included technology materials such as rare-earths elements. “The United States and Australia agreed to work together on strategic minerals exploration, extraction, processing and research and development of rare-earths and high performance metals to sustain the jobs of today and develop the jobs of tomorrow” the US President was quoted as saying. At present, as the majority of rare-earth production currently occurs in China, particularly for so-called “heavy-rare-earth-elements” (HREEs). HREEs are less abundant than their “light-rare-earth” cousins, and are thus of higher value. Many HREEs are predicted to have supply shortages in the next 10-15 years, due to their use in modern technologies; such as Dysprosium – an important rare-earth element for the production of things like Hybrid cars and wind turbines. Historically around 99 percent of the world’s Dysprosium supply has come from China, and China is clamping down on the production of rare-earths due to environmental and strategic factors, which is expected to exacerbate shortages in the supply of Dysprosium. 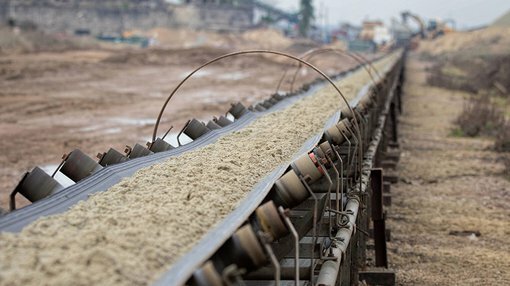 It is no surprise then that President Trump is looking to secure US supplies to such elements, particularly as ASX listed Northern Minerals (NTU.ASX) develops its Brown Range Dysprosium project; which once completed, will see it become the first significant world producer of Dysprosium outside of China. However, NTU is in its early stages and investors should seek professional financial advice if considering this stock for their portfolio. NTU’s three-year Brown Range pilot plant project will commence first production of heavy rare earth carbonate in H1 2018. The pilot plant development provides the opportunity to gain production experience, surety of supply for offtake partners and to assess the economic and technical feasibility of a potential larger, full-scale development. The pilot plant is simply stage one in a four-stage process that if completed, will see Northern Minerals as a major player in a significant and growing market – that of Dysprosium.